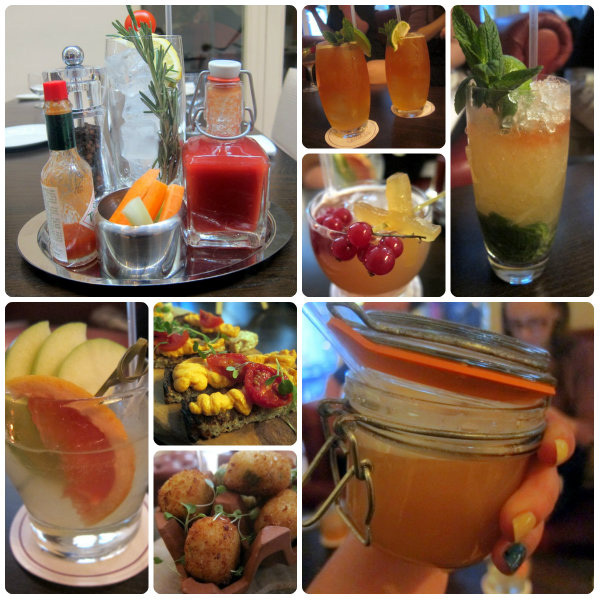 Y’know, thinking back, I realise that my love for cocktails all started with the Morrison Hotel. When it opened in 1998 it had the most sophisticated décor I had ever seen – created by John Rocha, the interior was all dark wood, gleaming crystal and cool leather, accented with stylish eastern flourishes. It’s where I sipped my first ‘real’ cocktail, ate my first sushi and had my first (ok, only) Robbie Williams sighting – oh, the glamour! Though it was the first of its kind, a million copies soon followed and over the years we lost sight of the fact that the Morrison was the original and had blazed the trail. Clockwise from top left: Quay 14 Bloody Mary, Dark n Stormy, Up On That Hill, Drunken Sailor mojito, Whiskey In The Jar, bar snacks including deep fried olives (nom), Final Straw. Hic! But following a 7 million renovation project late last year, the Morrison is back! Chic and stylish, it has a laid-back, contemporary vibe that feels high-end, while staying true its original rock’n’roll roots. It’s lighter and brighter than it was, with better use of space in the public areas. And the new Quay 14 Bar just might be one of the best spots for people watching in the city – accompanied, of course, by a well-crafted cocktail or two. Favourites are hard to choose, but with lapsang-infused gin, a touch of beetroot and pomegranate along with the usual ingredients, the Quay 14 Bloody Mary is a work of art. Brunch and one of these babies are what Sunday afternoons were made for. I can also recommend the fruity, spicy Up On That Hill - with Highland Scotch, sloe gin, ginger, lemon and rhubarb bitters – and Final Straw, which is made with bison grass vodka, vermouth, pressed apple juice and prosecco. Delish! Considering the plush surroundings and the care with which they’re crafted, the cocktails aren’t exorbitantly priced either, with most around the €9.50/€10 mark and weekly specials a snip at €7. Thumbs up for the food menu, too – Quay 14 offers a selection of sharing platters and bar classics, while The Morrison Grill serves up more sophisticated fare. 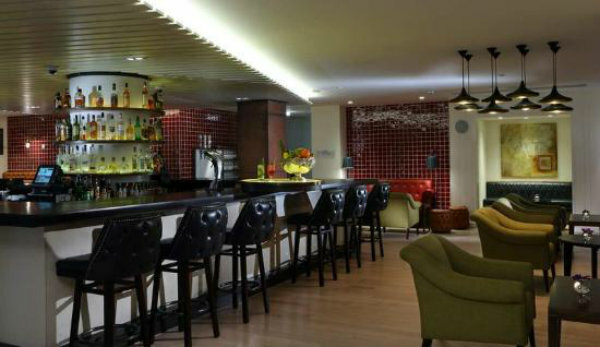 You’ll find the Morrison on Lower Ormond Quay, Dublin 1 - check out www.quay14.com for more. What do you reckon, fancy meeting me there? Maybe you've already stopped by? Well you've sold it to me Emma. I love cocktails too, but only if they are done perfectly. I hate it when regular bars throw together a cocktail menu and then throw them together without much thought either. Love this place! A touch of class at such a reasonable price. And a cocktail called Whiskey in a Jar served in a jar? What more could you ask for?! I've never been there but it looks very fancy, perfect for a blogger meet-up! Wow, such an amazing hotel to relax! that food looks delicious and healthy! This looks like such a fun hangout. Hotel bars make some of the best cocktails in my experience. Thanks fro your support Emma! Looks so elegant and sophisticated. Ah cocktail craving now! I would murder a cocktail right now! These look so yummy! I walk past the Morrison all the time on the way to the cinema and I love how they've done it up, from looking through the windows anyway, it looks gorgeous, must pop in some time for a sneaky cocktail! what a fabulous place to have a drink! love the atmosphere of it. Oh yum! Would definitely meet you there - mine is a Bloody Mary thanks!